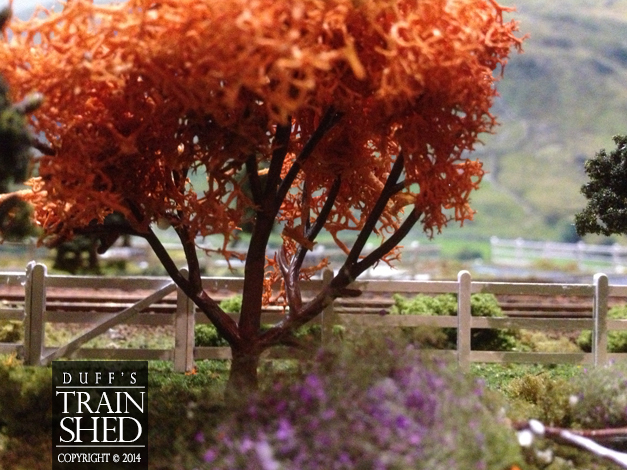 Autumn in Hollow Grove was my first attempt at a OO scale layout. 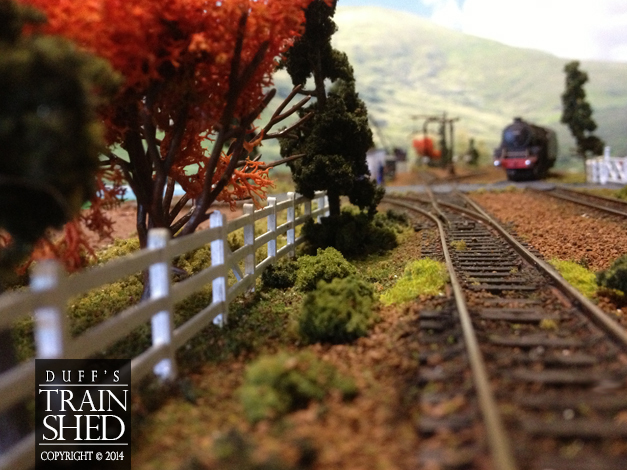 Previously, I had only built in N Scale. This layout was simply two modules, both 1210 mm x 410 mm, placed end to end. 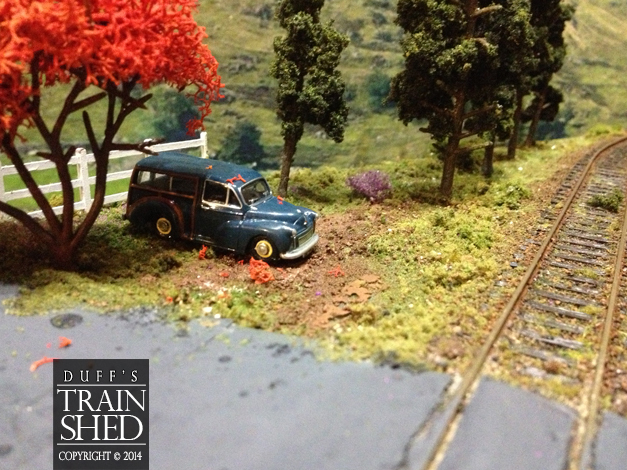 Although I intended for the layout to be an English 1940s prototype, it ended up rather a hotchpotch. Specifications: Track is Peco Flexitrack and set track Code 100. Point motors are Peco. 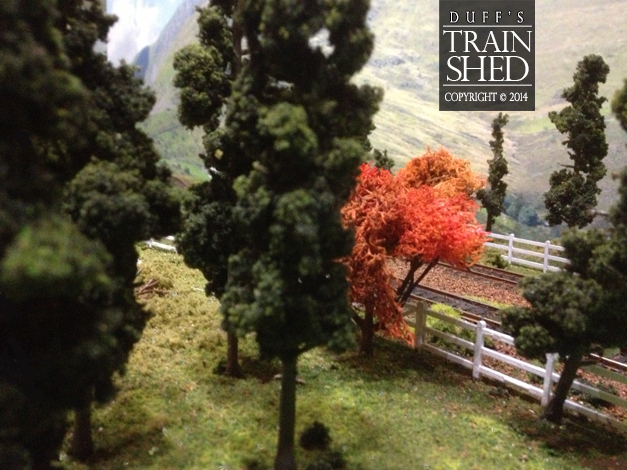 Scenery is Woodland Scenics. 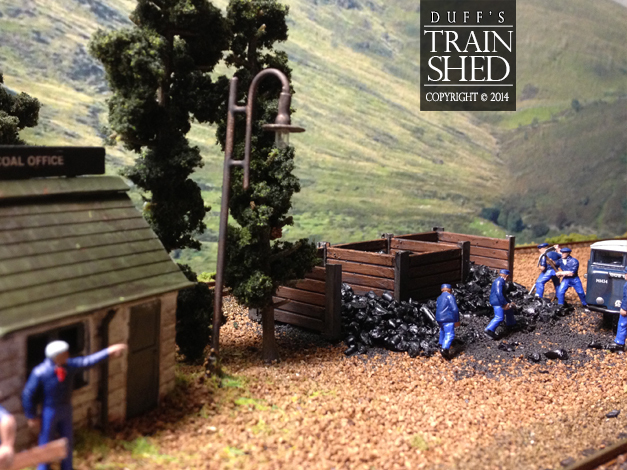 Fencing, railway workers, platform, platelayers hut and coal hut are all Dapol. Black Five and rolling stock are predominately Hornby. Woody is an Oxford Diecast. Enough said, below are some photographs. Twin tracks leading into Hollow Grove. 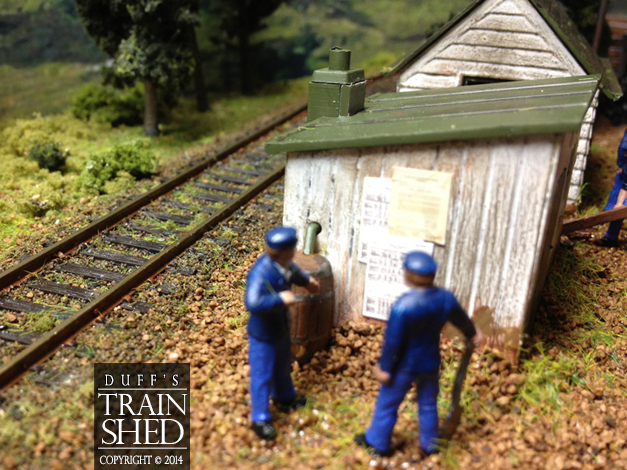 Railway workers read the notice board on the platelayers hut. 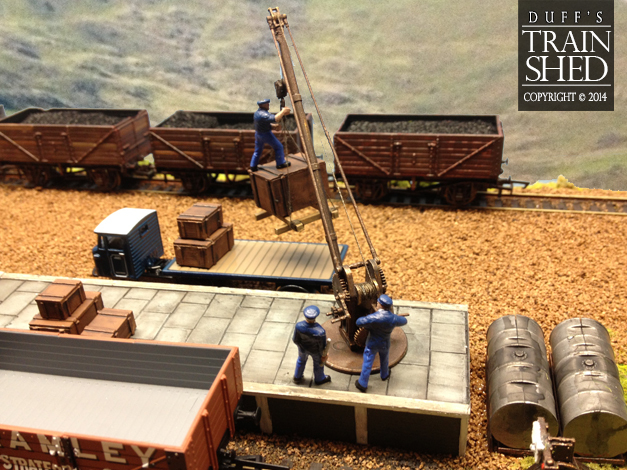 Railway workers loading crates onto a lorry. A well kept woody decorated in autumn leaves. 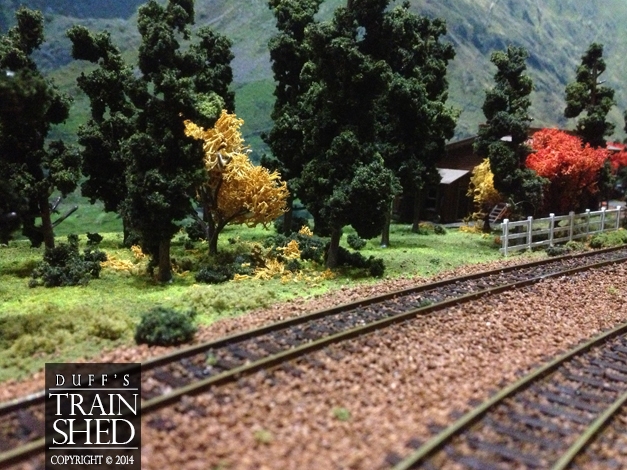 A weathered picket fence frames the Hollow Grove tracks. 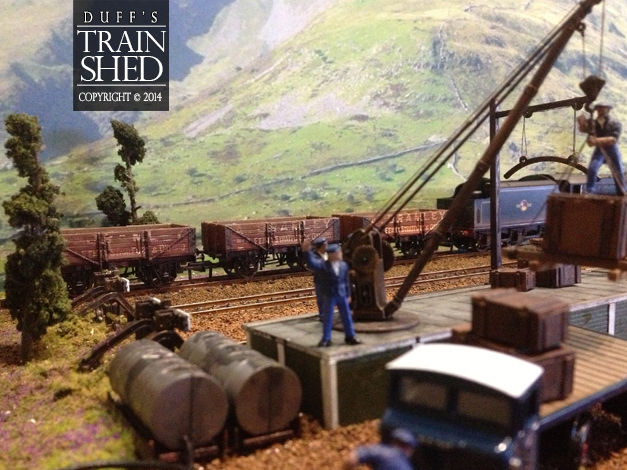 Railway workers busy in Hollow Grove train yard. A railway worker rides the crane in Hollow Grove. The pine woods of Hollow Grove. A black five departs the rail yard. 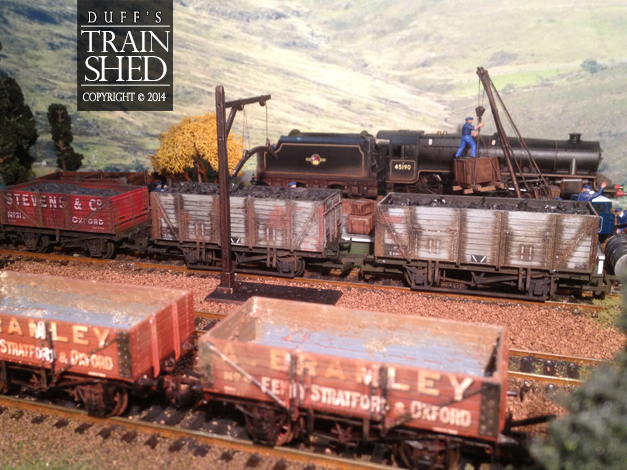 Railway workers tidying up the coal bunker. 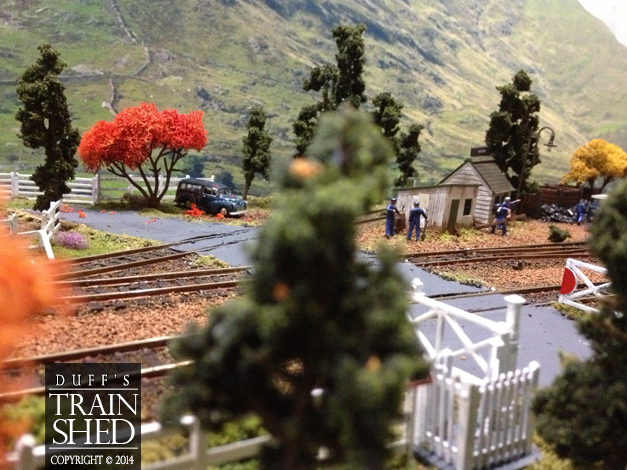 Another angle of Hollow Grove’s railway yard. 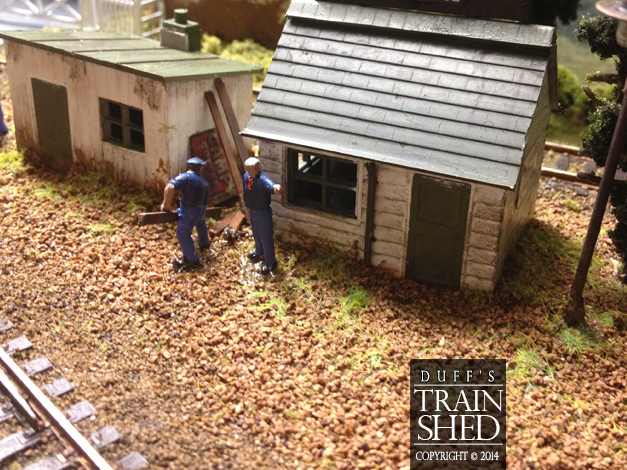 A railway workers stores a plank while his foreman barks orders. I reckon the workers lower pants could use some weathering/grime also. A great suggestion regarding the workers’ trousers. I’m looking to transfer these guys across to my new layout, so when I do I’ll be sure to add some grime.